Introduction: Feel glamorous and stylish with this multi-strand necklace. 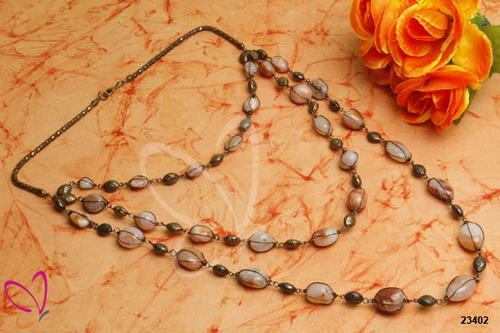 This piece is embedded with agate stones in natural colors with a combination of textured metal beads. The materials used are agate and alloy metal. Dimension: The total length of the necklace is 96 cm (37-3/4"). It has drop length of 48 cm (18-7/8"). Style tip: Add the aesthetic look to your wardrobe by ordering this accessory and lend a contemporary edge to an ensemble that will surpass seasons to come.